The Church of Sts.Simon and Jude stands on the site of a former hospital chapel. 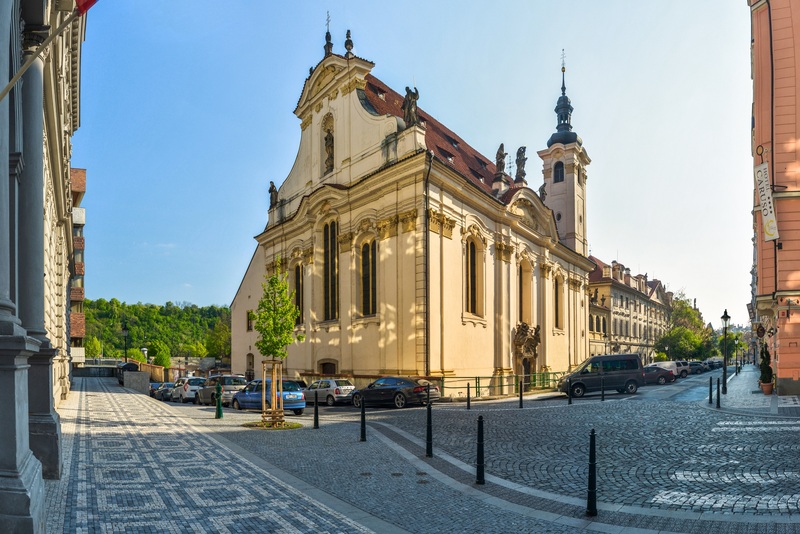 In the 18th century, it was adapted in High Baroque style and an organ was installed, an instrument with such excellent sound that such important personalities as Wolfgang Amadeus Mozart and Joseph Haydn both played on it. 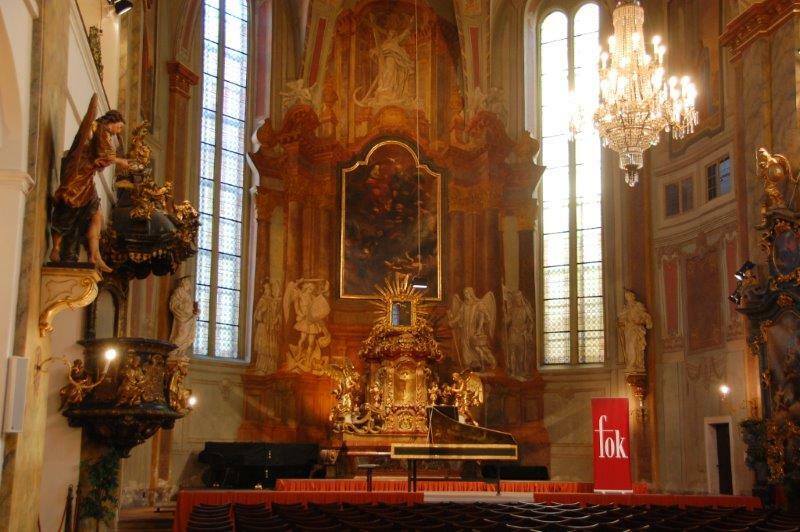 Today the church is administered by the Prague Symphony Orchestra (FOK), which uses the space as a concert hall.